Note: We found other location(s) that may represent "Oakville". If the results presented are not relevant, try changing the location using the drop down menu. With more than 22 years experience as a Registered Massage Therapist, Remi specializes in sports injuries, deep tissue massage and pregnancy massage. There's no better way to energize your body, mind, and spirit than by taking care of yourself. 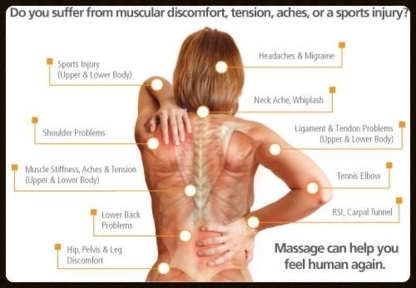 Contact Bonnie today to book your Massage Therapy appointment! Helping families every step of the way! There’s nothing better than a soothing massage to rub out all those kinks and stress knots out of your back. From a simple day at the spa to regular massage therapy, finding a registered massage therapist should be taken as seriously as trying to find a family doctor. 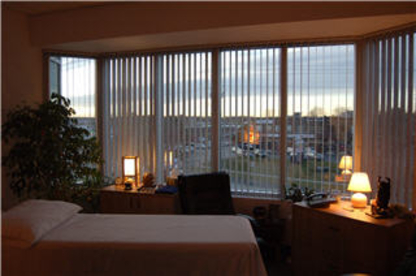 Certification: The massage therapist you choose must be certified or licensed in the province they practice. When looking up massage therapist listings make sure you can identify either CMT (Certified Massage Therapist) or LMT (Licensed Massage Therapist) next to their name. A registered massage therapist should also carry professional malpractice insurance. Am I interested in physical rehabilitation or sport training enhancement? Am I looking for relief from physical or emotional stress? 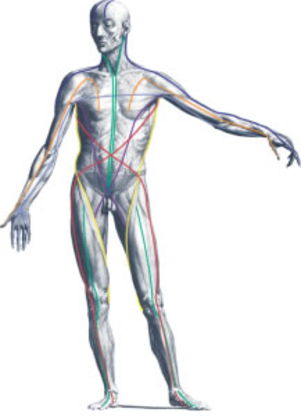 What areas of my body are stiff or in pain? What areas will I want the massage therapist to focus on? The more specific you are about your needs, the better equipped your massage therapist will be able to handle your massages. Experience and technique: Another question you may want to ask your potential massage therapist is what type of experience they have and how long have they been practicing. You may be interested to know that your potential massage therapist also practises reflexology. Massage schools vs. private massage therapy clinics: If you are looking for a good price on your next massage, you may want to be a willing participant in the education of a massage therapist in training at a school. If your needs are specific, stick to a certified professional that will be able to focus on your pain and stress and conduct follow-up massages – your back will be thankful for it.